Nearly 75 percent of the American workforce and 35 percent of the global workforce will be mobile by 2013, according to research firm IDC. With this growing remote workforce trend, it will be important to offer employee training in a virtual environment. Online training is also beneficial for those workers who seek additional professional development skills not offered by their employers. The Officiency online training series is an interactive and self-paced e-learning format. These trainings will provide participants organization, efficiency and productivity tips and suggestions that they can apply in their work day immediately. Our online trainings allow workers to learn anywhere, anytime from any computer with Internet access. This cost-effective format provides learners an engaging and participatory way to learn remotely. Trainings are available for one (1) year and participants can retake any or all of the courses during the one year timeframe. Engaging and Interactive: Trainings are produced in Adobe Captivate Flash videos and provide engaging, participatory, interactive learning. Content: All content was developed and written by productivity expert and author of Organize Your Work Day in No Time, K.J. McCorry. Quiz: There is a Knowledge Check quiz is in each course to test the learners' knowledge of course concepts. These have a variety of question formats, including multi-choice, true/false, sequence and fill-in-the-blank. Personal Skill Builders: Our customized activities allow learners to apply course concepts and recommendations into their unique work life. 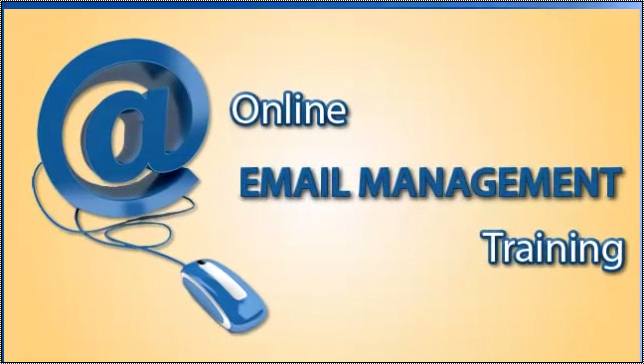 Computer Instruction / Productivity Tools: Instructional videos, screen recordings and instructions assist with utilizing productivity tools—including Outlook, Lotus Notes and Gmail as well as other computer functionality. Best Practices: Co-Worker Examples provide the learner context on how to apply the concepts and recommendations. Quick Navigation: At the end of each course is a Course Outline, along with a Table of Contents that facilitates quick access to navigate through the course. Next Steps: A Next Steps slide located at the end of each course provides clear recommendations for each user to take to implement the learning. Resources: There is a wide realm of resources accessible in each course including: websites, articles, product recommendations, podcasts, videos and books. Accessibility: These trainings strive to meet the highest standards of usability and accessibility. The courses are developed to meet technical requirements of Section 508 of the Rehabilitation Act. Learn more. Access to free downloadable reports and articles (over 10 downloadable reports available for each training). Ability to email productivity experts directly to ask questions. Authorware and Macromedia Flash player recommended but not required. The training is cost-effective at $167 for the entire training. All courses will be available for one (1) year for one (1) user. Users can retake any or all of the courses as often as they would like within that one year time frame. For company pricing for 100 users or more, please contact us for discounted pricing.